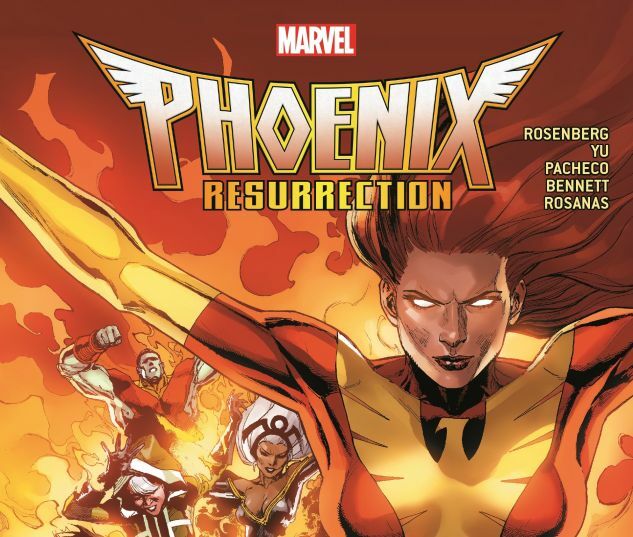 Collects Phoenix Resurrection: The Return Of Jean Grey #1-5. She will return, like a Phoenix from the ashes! 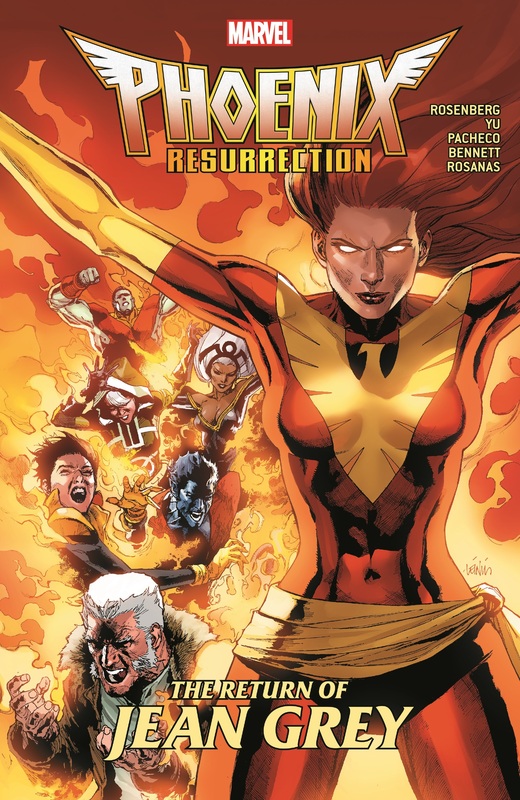 Years ago, Jean Grey perished, and the X-Men mourned her loss. Now, when strange events start happening all over the world, the X-Men can only come to one conclusion: the one, true Jean Grey is back! Kitty Pryde, Old Man Logan and Cyclops lead squads across the globe, chasing events connected to the Phoenix — yet with friends disappearing and familiar enemies returning, they’re fighting a losing battle. Meanwhile, a young woman named Jean starts to go insane in her peaceful, suburban life. Nightmares and daydreams spill over into the world and reveal cracks in her reality. Jean needs to escape. The X-Men need to stop the cycle of death the Phoenix brings. And their worlds are about to collide — violently!